Opposites Attract is the challenge this week at At Tuesday Throwdown. 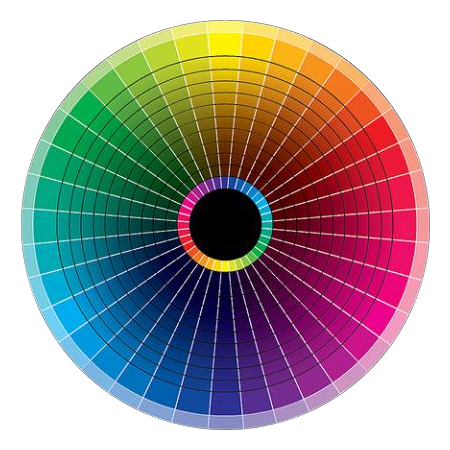 Choose two colors on the opposite sides of the color wheel and come play along! 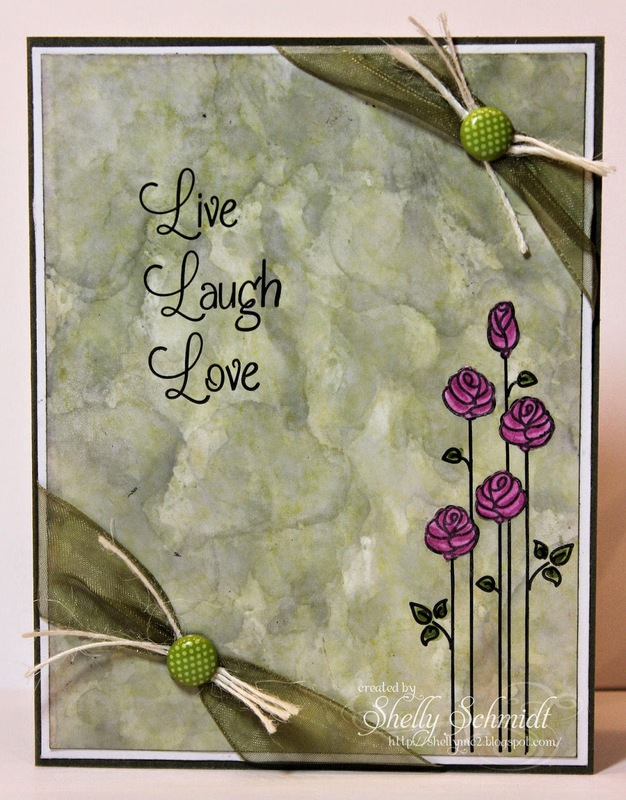 I used a Polished Stone background in green and layered it on Almost Artichoke cardstock. I used stamps by Sweet Stamps. The flowers are colored with Copic Markers. The ribbon is from the OLD archives- when SU used to have 7/8"Organdy ribbon. The brads are also SU. Our sponsor this week is Craft Classes Online and the winner will win a spot at one of their awesome classes. This is a sample of the Stencil PE technique. The stamp and sentiment are by Technique Junkies Stamps. The stencil is a die cut made with an SVG from Bird's Cards. I wish the shimmer photographed better! The Table of Contents for the entire CD is HERE. The CD has lots of new techniques along with some old favorites. So break out your stencils and play along! You should have arrived here from Jackie Kalchert's blog. I always love Jackie's take on the challenges! Your next stop is Pat Huntoons blog. 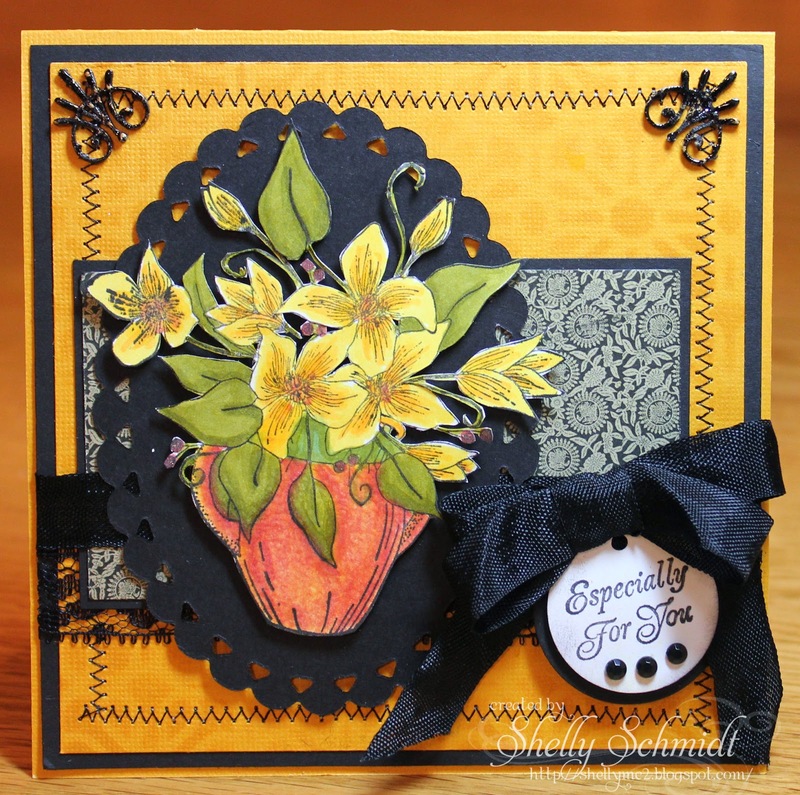 The challenge at Sweet Stamps for this week is to use a die. 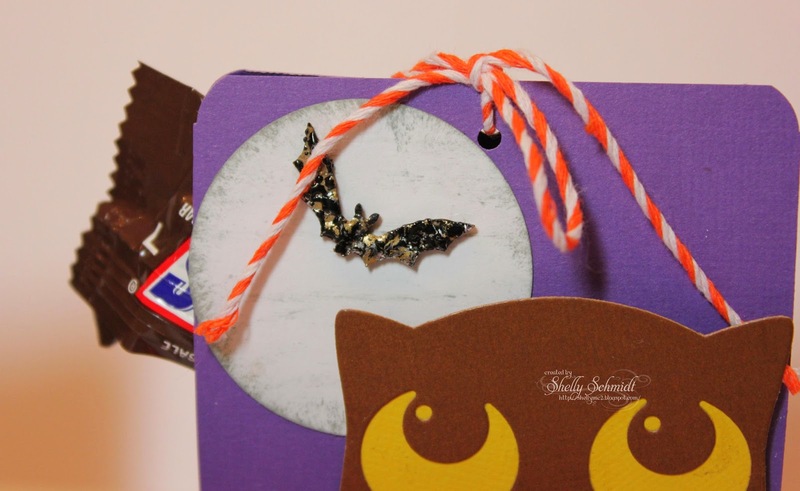 I made treat bags that hold candy- or any other fun treats. For the two outside bags- cut cardstock 9" x's 2.5"
Score at 4" and 5"
Cut a piece of cardstock 2"x's 6 1/4" and score at 1", 3", 4" and 6"
Score it at 2.5", 3.5", 6" and 7" Fold and glue the ends together. Open end of the tube is at the base of the candy bag. This is a close-up of the Piccolo bat- I used Vintage Black Enamel EP. We have a weekly challenge and a monthly technique challenge. 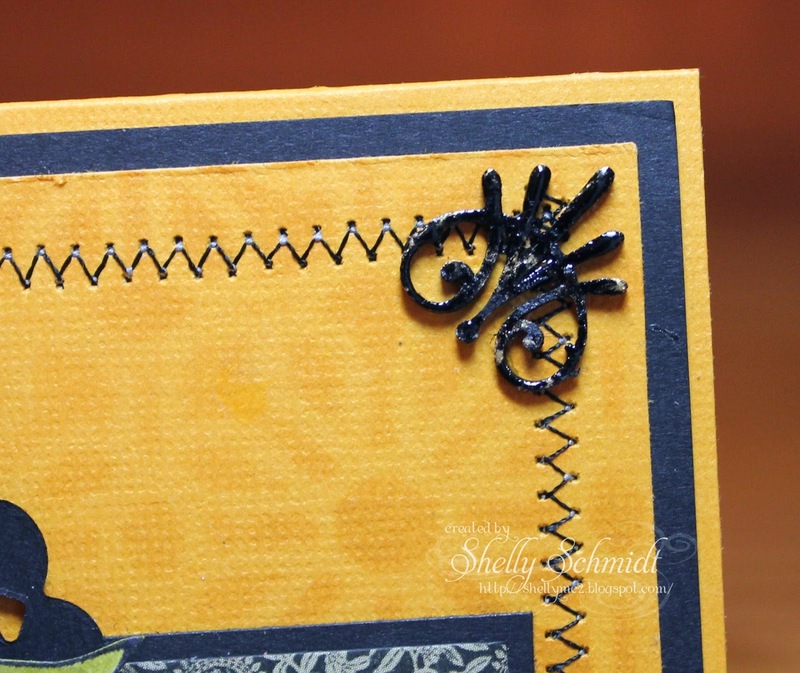 The monthly challenge 9/15-10/14 is Chalkboard Stamping. Our winners are chosen by Random.org- and if you use a Sweet Stamps image, your entry will count x's 2! I first heard about the Michael Strong Yahoo Group from the group creator- Hetty Sanders. Hetty is also a Technique Junkie- and a very talented designer. 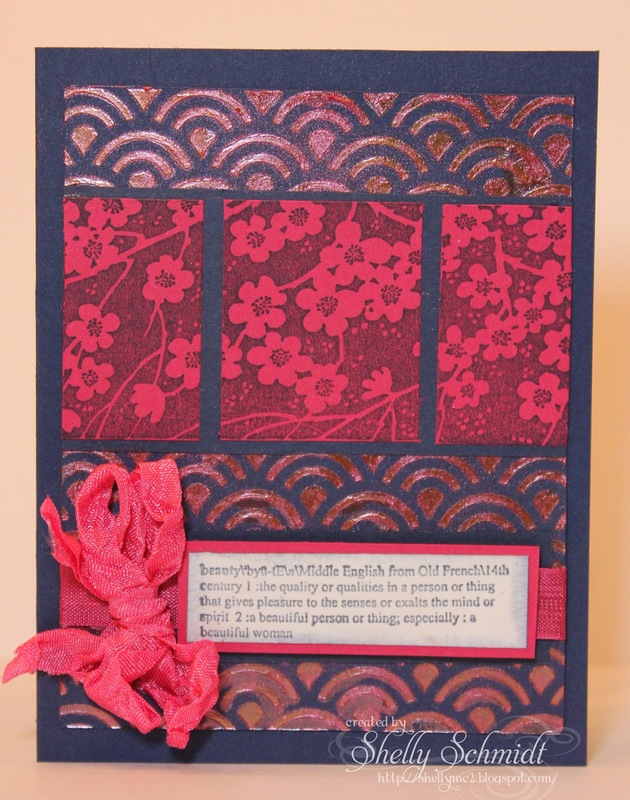 I used Distress Inks and 'water stamping' for the background. The sentiment is by Create with TLC. I used the Bister through a stencil. 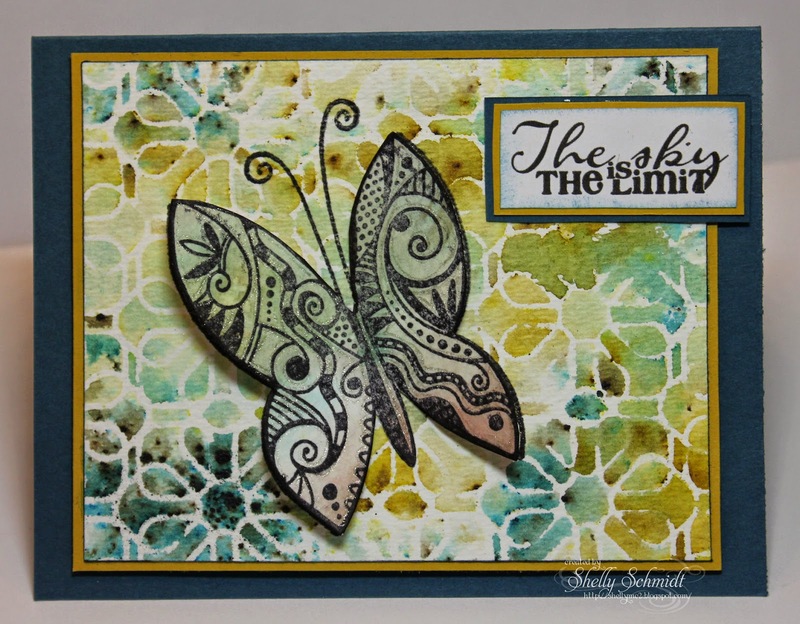 The butterfly is cut out of another page of the Bister, and I added glimmer using a Sakura Gelly Roll Pen. The butterfly was fussy cut and just the center portion of it is glued down. The sentiment is by Create with TLC. There is a giveaway- you can win a stamp from Michael Strong Stamps- just leave a comment at all of the blogs in the Hop. Your next stop on the hop is Heidi. If you get lost along the way, Hetty has a full list for the hop on her blog HERE. I am playing catch up- I am wanting to try to keep up with this challenge, so worked on last week's challenge- I need more hours in the days! The ATC's are made on Playing cards- they are both covered with Gesso. I added Alcohol inks on the Lt side as per the challenge. I used SU images and a sewing themed stencil- on the Lt you can see a vague brown stencil of a measuring tape. I added Wink of Stella to the flower centers and the heart, and the buttons are from a SU Sizzlet. The Rt ATC is colorized with Ranger Distress Inks in fall colors, and the Oak leaves are a Cheery Lynn die. The leaves are cut with scraps from my Technique Junkies bucket, and the sentiment and background stamp are from Sweet Stamps. The Butterscotch cardstock has Butterscotch ink (Spot) through a stencil as a background- it is a subtle backdrop for the floral image. I colored the image with Copics. I used a towel and Copic Colorless Blender '0' to texturize the vase. And, then I fussy cut the image- love the way it looks on the black BG- it is popped up on dimensionals. Here is a close-up of the Enamel Embossed chipboard piece- pictures do not do this embossing powder justice! We hope you will join us with the challenge- and if you use a Sweet Stamps image- your entry will count twice! It's Tuesday- time for a new Tuesday Throwdown challenge! 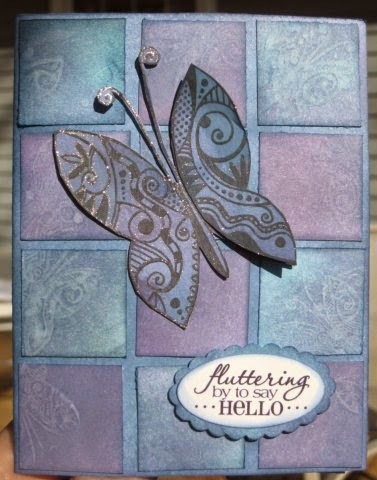 We are crafting with Bows and Butterflies this week using images from our sponsor- DeeDee's Digi's. I used a Technique Junkies technique for the background- it is called Simple Sumi. The butterflies are cut using a Memory Box die, rhinestones in the centers. My bow is made using twine. 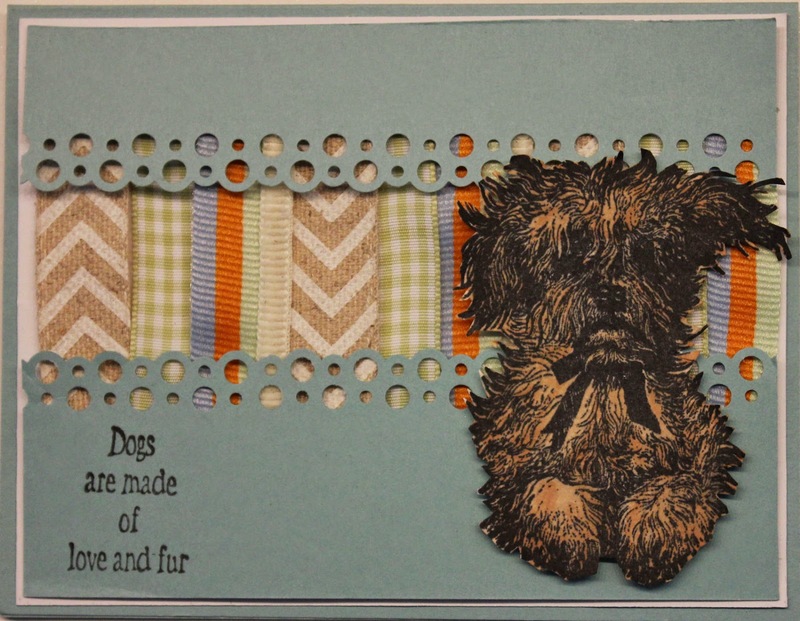 Be sure to stop by the Tuesday Throwdown blog and see what the other designers have come up with! 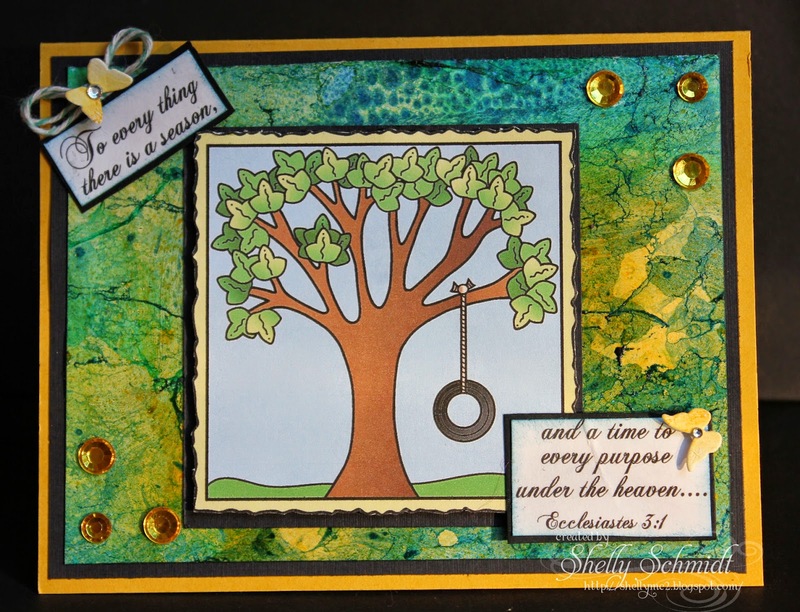 The challenge at Sweet Stamps for this week is Anything Goes. I first did smooshed Distress Inks Worn Lipstick and Weathered Wood onto my non-stick craft mat. I spritzed them with water and ran the cardstock through it. After it dried, I used the Embossing paste thru Circle Pavers stencil. The 'runway' is a strip of the leftover background piece. I used Copics to color the image: RV21, RV23, RV25, R02, R20, BG000, Y21, Y23, Y26, E000, E00, E02, E04, E11.